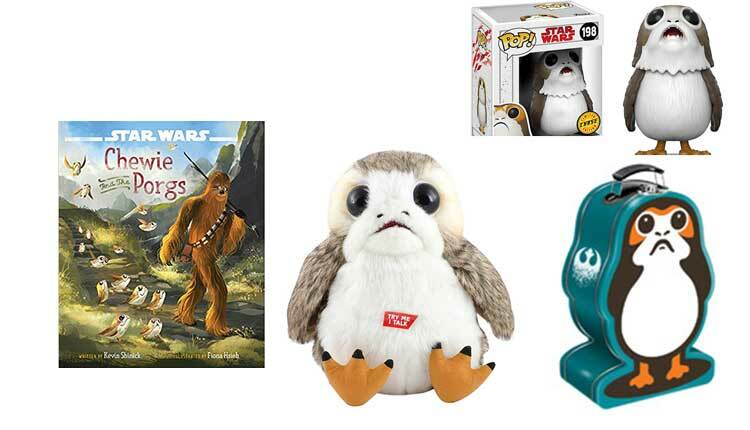 9 Best Porg Toys & Merchandise: The Ridiculously Cute List | Nerd Much? While we don’t know much about porgs just yet — aside from the fact that they’re overloaded with cuteness — we know that there are a ton of porg toys and merchandise available already. These creatures from Star Wars look like a mix between a hamster and a penguin, and we can’t wait to see them in action when Star Wars: The Last Jedi hits theaters in December. Apparently, these little guys are located on Luke Skywalker’s secluded island, and they have an inquisitive nature. There also appears to be some synergy between them and Chewbacca, and if this first wave of Star Wars porg toys tells us anything, it’s that they’re going to have somewhat of a role in the upcoming film. 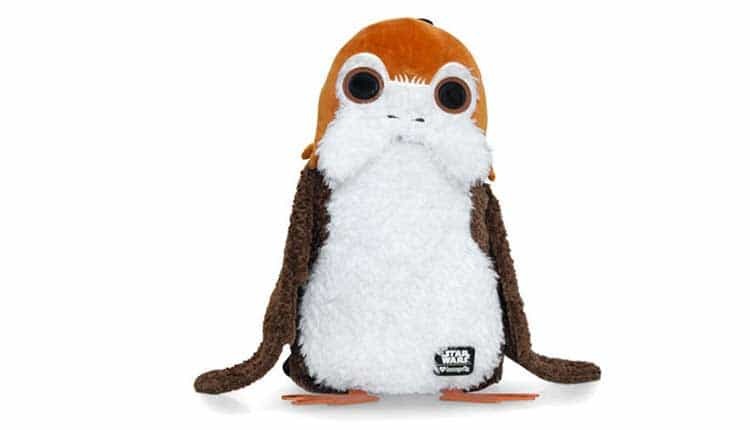 There are already a few porg plushes available on Amazon, but this electronic plush is probably the cream of the crop. It flaps, waves, waddles, and moves in authentic porg-like fashion, and it also makes the noises and chatter porgs make in the upcoming Star Wars movie. 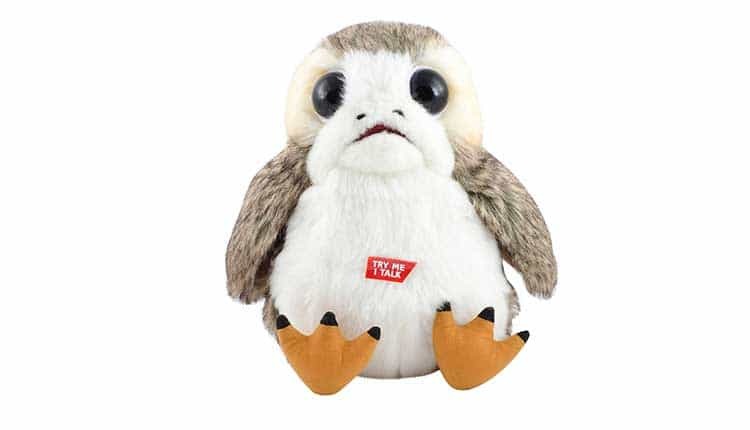 Buy the Electronic Porg Plush here. There are currently a few Porg Funko Pops available, but the most common one you’ll find is the straight up frowning porg, which you can find right on Amazon for $10.99. The most sought out version is the Target exclusive porg, which has its wings spread. It’s technically a Target exclusive, but it can be found for a bit of a markup on Amazon (it’s currently sitting at $30+). 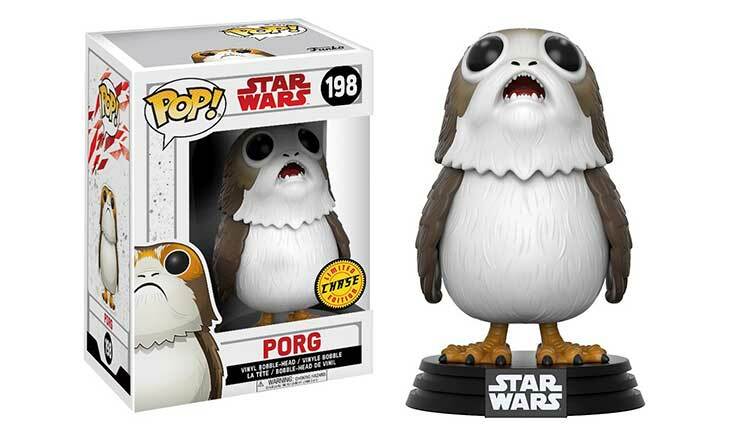 There’s also the mouth-open, teeth-showing Porg know as the Limited Chase Edition. Buy the Porg FunKo Pop here. 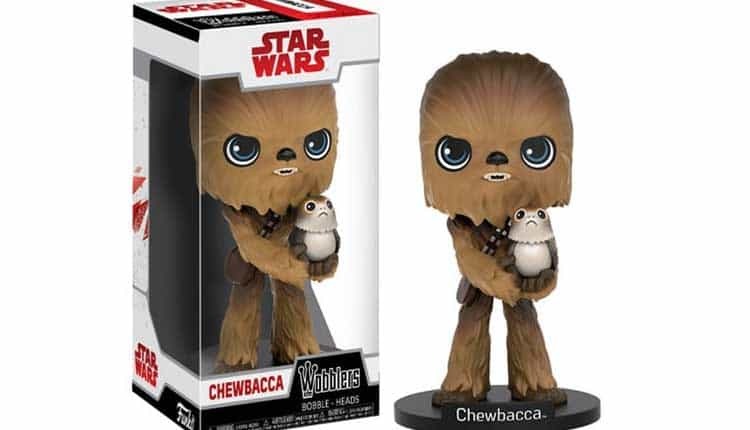 The absolute cutest version of a porg you’re going to find is actually a Wobbler Bobble Head of Chewbacca, who just so happens to be holding a cute little feathered friend. It’ll be available later this year in November, but you can pre-order it now from Entertainment Earth. It comes in a window display box, but chances are you’re going to want to take it out and put it on your car’s dashboard. Buy the Chewbacca w/ Porg Bobblehead here. For those who don’t know, we’re huge fans of nerdy backpacks, which is why we’re excited to see popular bag-maker Loungefly release a Full Body Porg Plush Backpack. It’s as soft as it is nerdy, and it’s sure to please any Star Wars fan. It’s available for pre-order on Entertainment Earth, and it’ll ship in November, in-time for Christmas. Buy the Porg Plush Backpack here. I’ve never personally been a huge fan of the Deformed Plushes from Comic Images, until now. Check out the Porg Deformed Plush, which comes in at 10-inches tall. Perfect for cuddling or display. It’s available at Entertainment Earth for $19.99, although chances are that it’s going to sell out quickly. 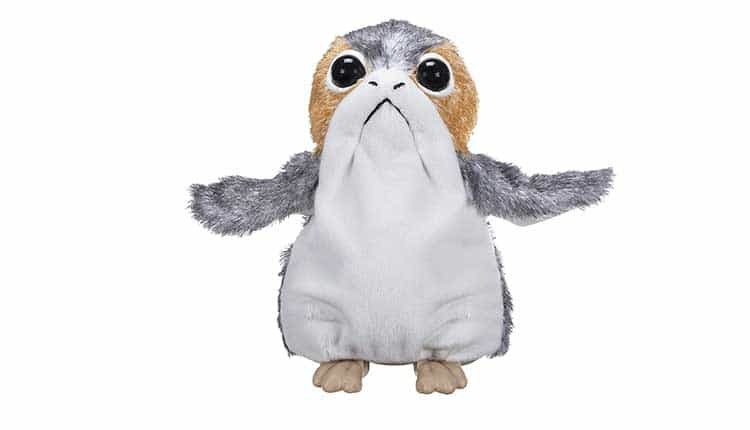 Buy the Porg Deformed Plush here. Target has THE best Porg plush toy available, and it’s so cute I don’t even know what to do with myself. It speaks phrases and makes realistic sounds (although, I guess we’ll have to wait and see just how realistic those sounds are until we see The Last Jedi in December). It measures 10-inches tall, and weighs just over a pound. This little ball of fluff can be yours today, big eyes and all. Buy it from Target here. Comic Images also has a brand new Porg Backpack Buddy that can be picked up right on Amazon, and it’s also cuteness overload. Because porg. Anyway, it measures 24″ high, and it’s great for both younger and older Star Wars fans. 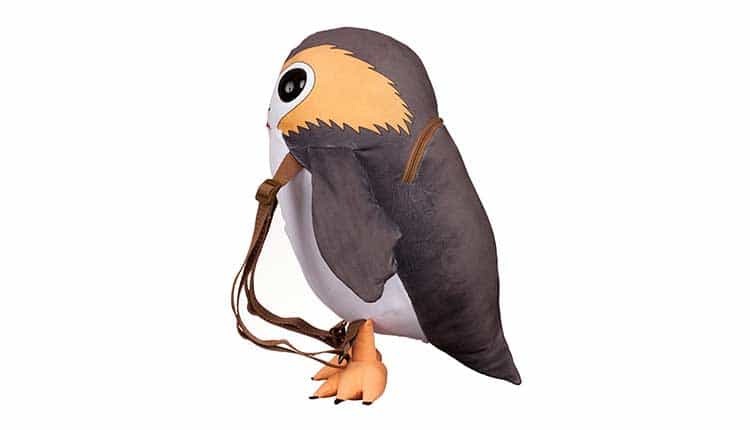 Buy the Porg Backpack Buddy here. 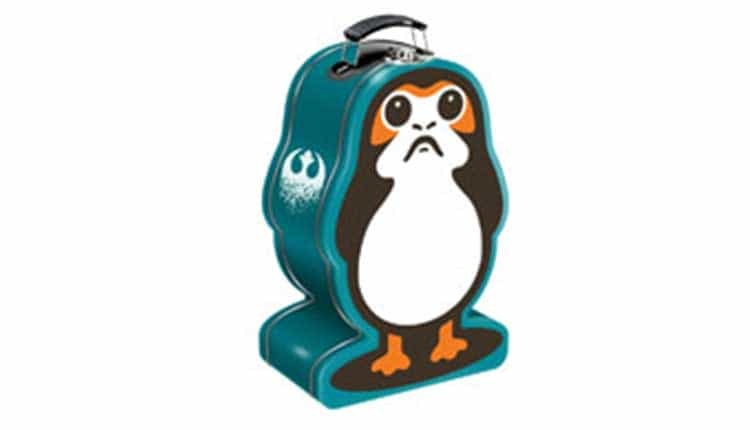 GameStop is getting in on the porg hooplah as well, as they’ve got an absolutely stellar Porg Tin Tote by Vandor available for just $10. This teal tin features a black white and orange porg on its front, and the tin, itself, is shaped like our new furry friends. The side of the tin also has the Alliance Starbid/rebel logo on its side. Buy it at GameStop here. 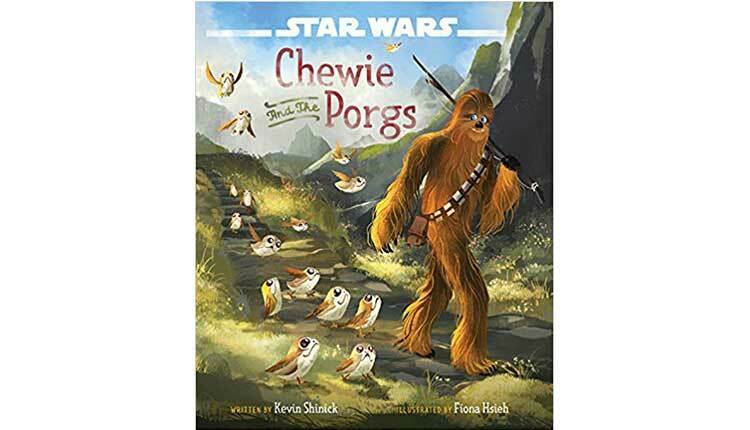 And finally, at least for now, our favorite porg merchandise is actually in the form of a hardcover book titled Star Wars: The Last Jedi Chewie and the Porgs. The book is set to release on December 15th. Buy the Chewie and the Porgs Book here.